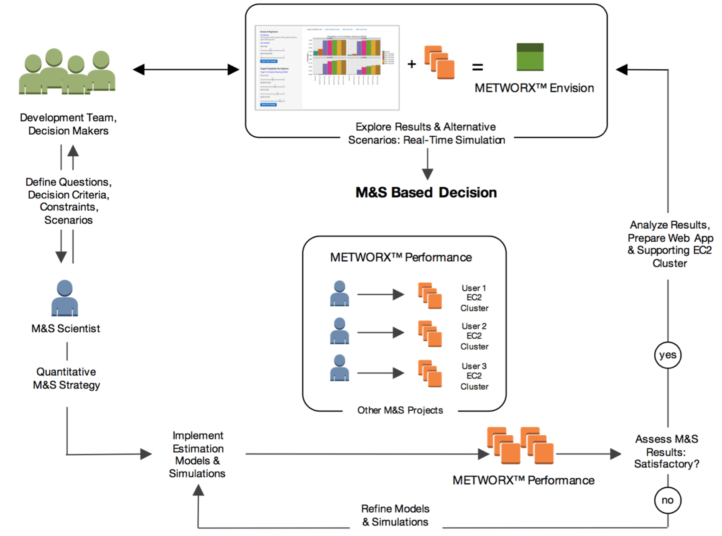 Metworx enables teams to eliminate typical inefficiencies in Modeling & Simulation workflows. The easy-to-use dashboard allows users to define custom configurations for each workflow. 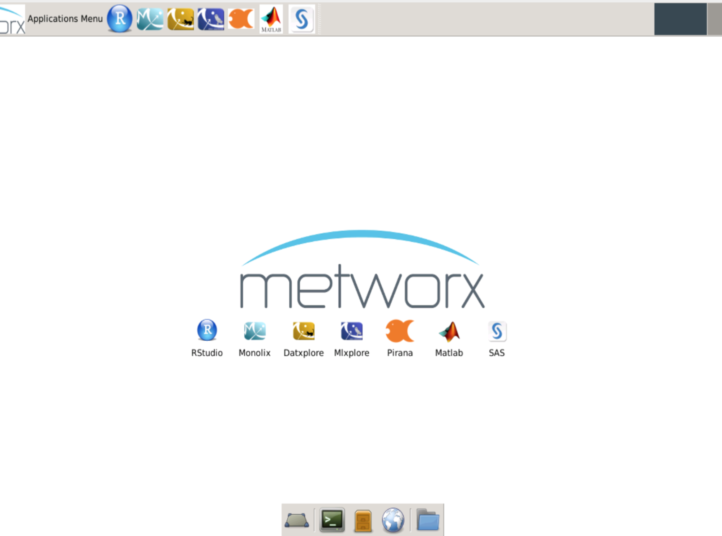 New with version 3, users can now access familiar desktop applications from the Metworx platform. With Metworx, users can develop and deploy interactive Shiny applications to decision-making teams. Organizations focused on solving problems through quantitative data analyses employ teams of scientists to advance their goals. The efficiency of team-based approaches, however, is often limited by shared fixed compute resources. Remove the constraints from your team by unleashing the power of on-demand individual computation with Metworx. Metworx simplifies the administration and customization of high performance computing needs for a given project. This allows for a shift in ownership of these tasks from information systems department to the individual quantitative scientists responsible for delivery on project goals. easily BUILD and CONFIGURE a dedicated high performance computing infrastructure, customized for their project needs, whenever they need it. 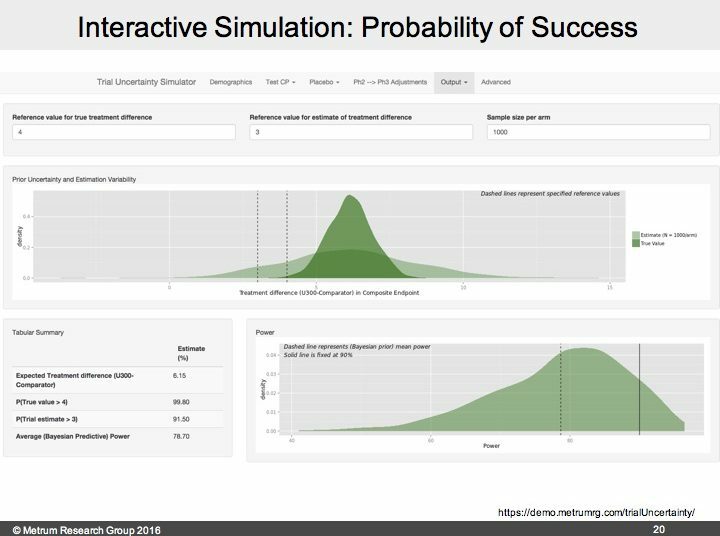 DEPLOY real-time simulation and visualization apps with user-friendly interfaces backed by powerful computation, to non-technical decision-makers. COLLABORATE on quantitative analyses with team members in a secure, qualified, and reproducible environment. A Platform-As-A-Service solution delivering the power and flexibility of auto-scaling elastic cloud computing to quantitative analyses via a simple web-browser interface. No prior knowledge of cloud computing administration is needed. A system of qualified and managed data analytic workflows including tools such as: Matlab, Monolix, metrumrg, mrgsolve, NONMEM®, OpenBUGS, OpenGrid Scheduler, Perl, Pirana, PSN, Python, R, RStudio, SAS, and Stan. A secure computing environment for sensitive data running in your private Amazon Web Services (AWS) account. A powerful supercomputer with continuously updated virtual hardware, ensuring top of the line processor speed, multicore capability, and memory capacity. A global computing solution, supporting workflows and cloud-based file servers in multiple geographic regions. A familiar computing environment, connecting users to computation via the RStudio interface, virtual remote desktop, or Linux shell terminal. A reproducible team-based collaboration framework with optional version control and file sharing via git and subversion repositories. What is a workflow and how can it help my project? Metworx combines a highly managed infrastructure with tools (computational software, R packages, etc.) designed to seamlessly work together in the context of a single workspace. We refer to this combination as a workflow. It’s the result of many years of development and practical experience. It will help you get work done. Is Metworx suitable for use in a regulated industry? Metworx has many attributes that will dovetail nicely with your organization’s quality assurance programs to establish suitability and fitness for use. 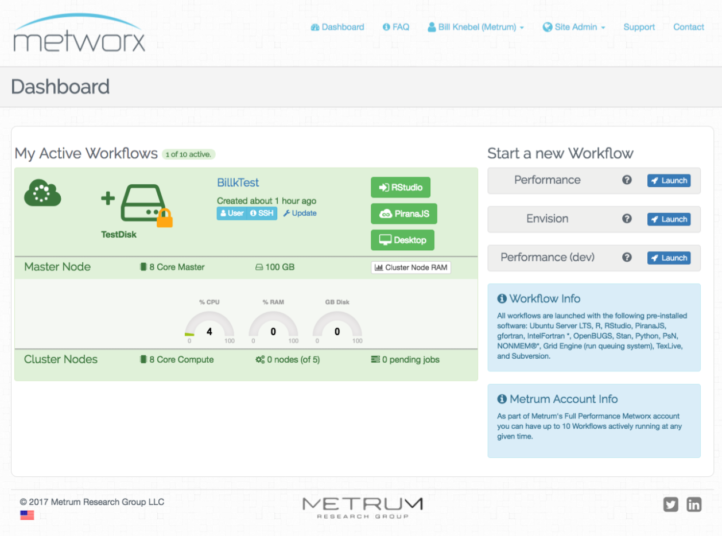 Our software qualification suite, a scripted sequence of testing, is executed programmatically on each Metworx module build. This qualification testing suite provides documented evidence that the key computational software is installed correctly and operating as expected. The entire Metworx infrastructure is code based, version controlled, and highly managed. This makes it extraordinarily reproducible (cloneable, actually) and provides an audit trail of code base changes. Your Metworx system has built-in disaster recovery for both infrastructure and data. A rebuild of your Metworx system only takes a few minutes and data restoration from your most recent snapshot is fast and easy. Your system runs within the Amazon Web Services (AWS) cloud ecosystem. AWS maintains strict physical and logical security controls in all of its operations and is audited by a highly regarded third party. The audit is performed against the SSAE 16 standard and documented through regularly published SOC reports. Your individual data transmissions are encrypted while in transit using industry standard security protocols (SSL). Because Metworx runs entirely in your AWS account, you maintain complete oversight and control of your Metworx resources. Your AWS account allows you to create and manage company and individual level security credentials. The AWS credentials entered by you are stored in the Metworx database so that they can subsequently be used to access and initiate Metworx resources within your AWS account. To protect the security of these keys, they are automatically encrypted prior to being saved in the database. In addition, no records of the original unencrypted keys are kept and these values are explicitly excluded from any application log files that may be generated. The keys are dynamically unencrypted only as necessary to make calls to AWS services. Great care is taken to ensure the security of these keys, using the AWS best security practices as a guide. Optional 2-factor authentication is also available. I've never used the cloud or AWS. How much do I need to know? Can you help? We provide full technical support for your Metworx environment, including initial configuration, user management, periodic software updates, and disaster recovery. We will provide training to your end-users with real-world workflows and computational examples and we will be available to respond to your support requests. Once you are up and running, your workflow interactions will look just like they would on any system. Of course, you will really appreciate the availability and flexibility offered through the Metworx solution. Is Metworx suited only for biomedical applications? Although initially designed to handle big computation projects in biomedical modeling and simulation, any high-performance computing project can leverage the capabilities of Metworx.